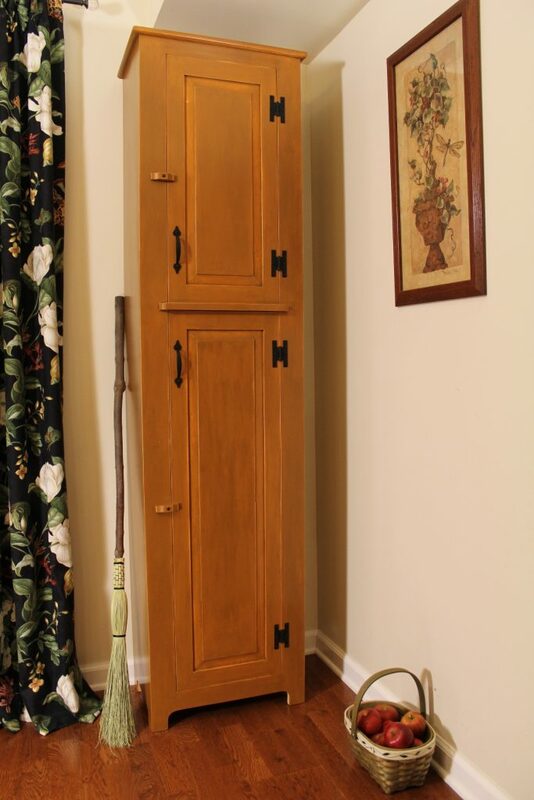 It’s not clear if chimney cupboards are so called because of their tall, narrow, chimney like appearance, or because they were frequently placed in the narrow space next to a fireplace. 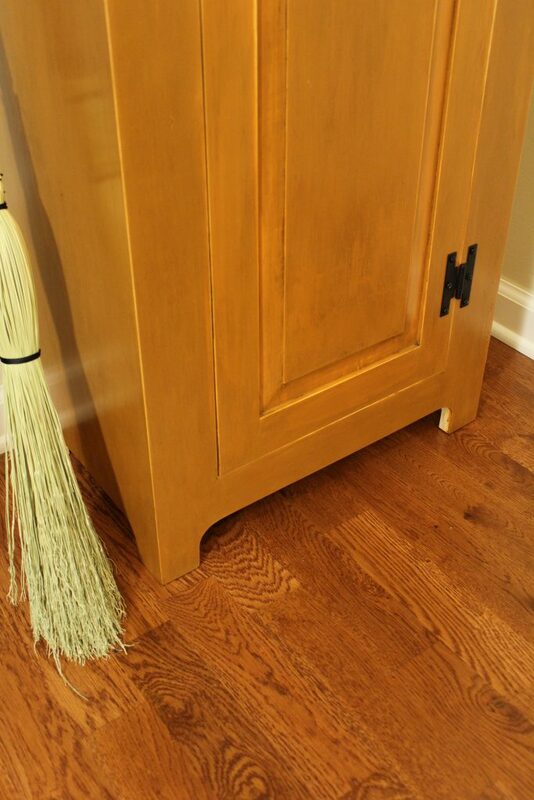 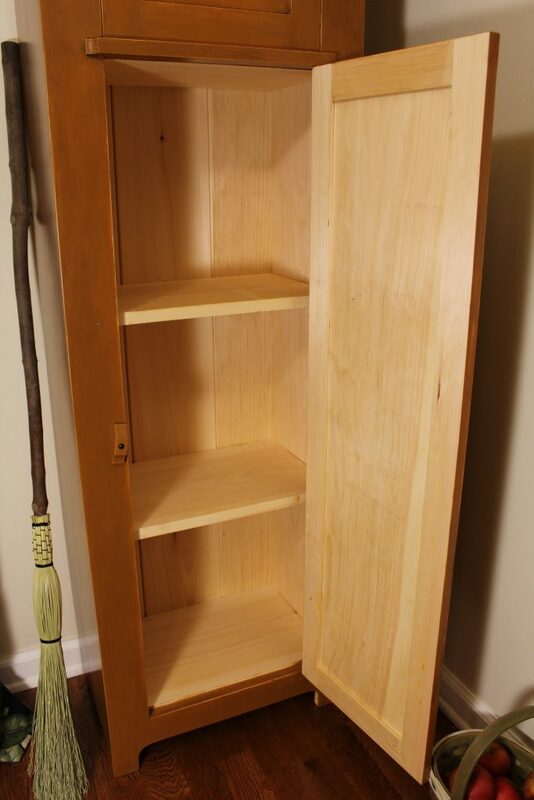 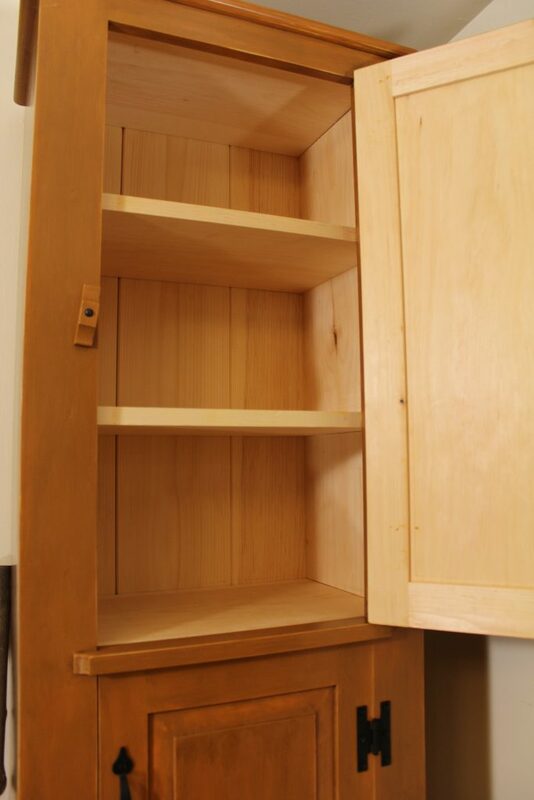 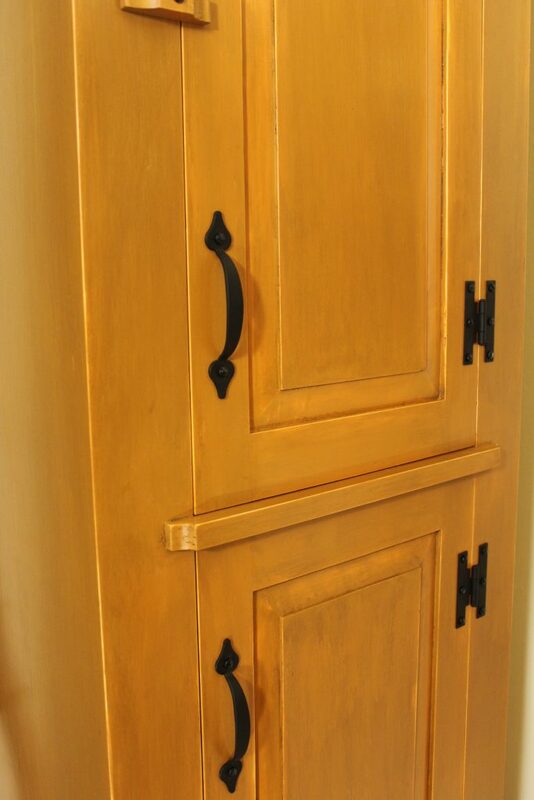 In fact, it’s highly likely that the term is a modern description for something that was simply called a cupboard. 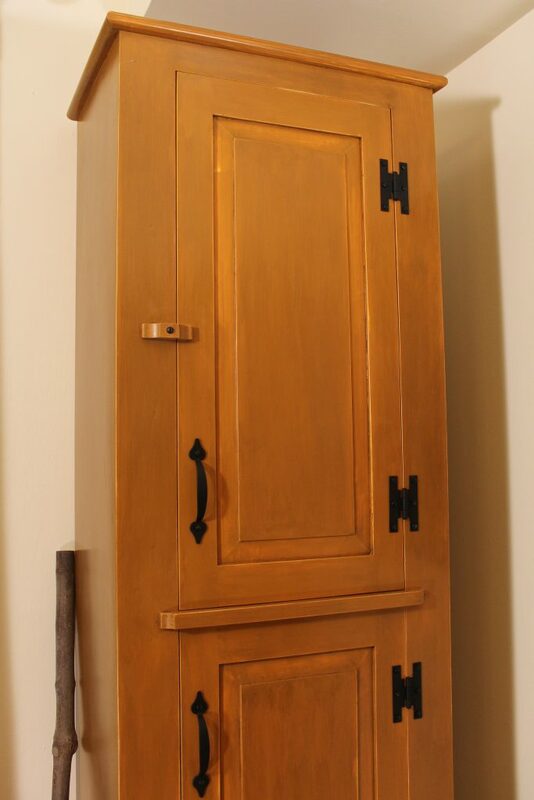 Whatever you call them, these attractive cupboards are great for adding storage in narrow areas like hallways and behind doors where a larger, deeper piece won’t fit.